The $46 billion payday lending industry better get ready for a whallop. The Consumer Financial Protection Bureau today released its proposal for new payday lending regulations that would make it harder for businesses to take advantage of borrowers with onerous fees and fine print that can quickly turn them into lifelong debtors. The watchdog’s new rules would take aim not only at payday lenders but, as promised earlier this year, would apply to car title loans and deposit advance products (short-term loans offered by some banks) as well. But before everyone gets too excited, these new regulations are still quite a long way from being implemented. The CFPB will first have to consult a special “Small Business Panel,” co-run by the Small Business Administration, which will give lenders themselves a chance to weigh in. That could add another few months to the process, as payday lenders will argue for why they should be allowed to operate as they do now. Each year payday lending lobbyists spend millions of dollars trying to prevent Congress from passing laws that would hurt their bottom line. Since 1998, the industry has increased their spending 19-fold, from $230,000 a year to $4.5 million, according to the Center for Responsive Politics, a nonprofit research group that tracks money in politics. Leading up to Thursday’s announcement, Advance America, one of the country’s largest providers of non-bank cash advances responded to the CFPB’s efforts to rein them in. Payday loan borrowers only need to prove they have a job and a checking account to qualify for a loan. Title loan borrowers just need a car. The low barrier to entry makes it easy for consumers to turn to payday lenders when they find themselves strapped for cash. The CFPB plans to require lenders to toughen their lending standards, making it harder for borrowers to take on too much debt they have little to no hope of ever paying back. Lenders would have to verify the customer’s income, existing debts, and borrowing history before they could be approved for a loan. Payday lenders make the big bucks by charging outrageous fees. When borrowers can’t repay their loans, they can extend their loans for a hefty fee. 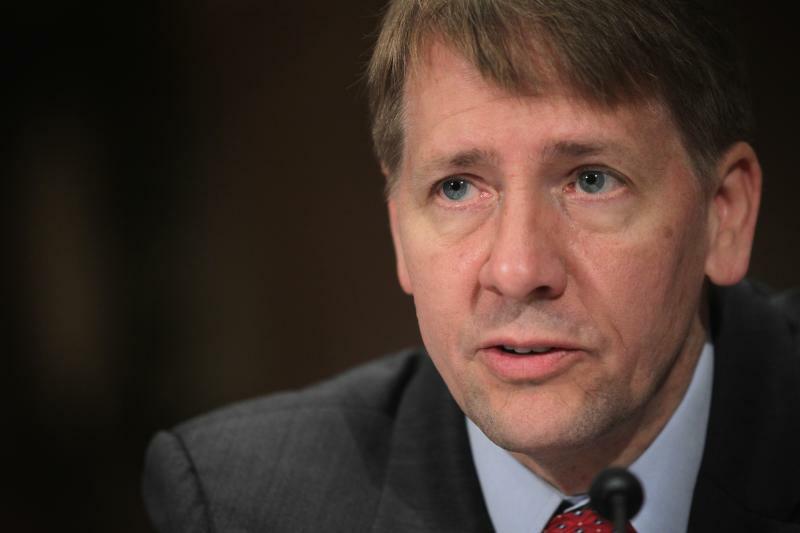 Eighty percent of payday borrowers wind up rolling their loans over, according to the CFPB. The average title loan borrower will pay $1,200 worth of fees on a loan originally taken out for $1,000, a recent report by the Pew Charitable Trusts found. The CFPB wants to tackle this by preventing borrowers from taking out more than three payday loans in a row in a 12-month period. Some may argue that three payday loans is still three too many, but the agency is also proposing that lenders must prove a borrower’s finances have improved enough to be able to afford a second or third loan before they can issue it. The CFPB also suggests imposing a 60-day “cooling off” period when no new loans can be extended to a borrower who has has passed the three-loan mark. The average payday loan represents one-third of a borrower’s income, and the average auto title loan constitutes more than 50%, according to Pew. It’s no wonder so many have trouble paying them back on time. Under these new rules, the CFPB would prevent lenders that offer long-term cash advances (45 days or more) from offering loans that require payments that are more than 5% of a person’s monthly income. As an alternative, a longer-term lender could offer loans that range from $200 to $1,000 if they agree to keep interest capped at 28% (the typical payday loan today charges 300%) and make sure the consumer has no other outstanding loans. The CFPB’s rules, if put into effect, would be a big step in the right direction, says Nick Bourke, director of the Pew Charitable Trust's small-dollar loans project, which has done substantial research on the shortcomings of the payday lending industry. “The CFPB has set the stage to dramatically transform the small-dollar loan market and make it work better for consumers,” Bourke says.